Education technology firms TutaPoint and Admitted.ly released their annual fall student survey on September 15. Here is what U.S. high school students have to say about stress in their lives, inside and outside of school. Of the respondents, which represented mostly high school junior and seniors, the number one reported stress was: applying to college. This is probably not surprising because 86% of this year’s survey respondents plan on attending college. Number one homework stress? Probably not a surprise: math. 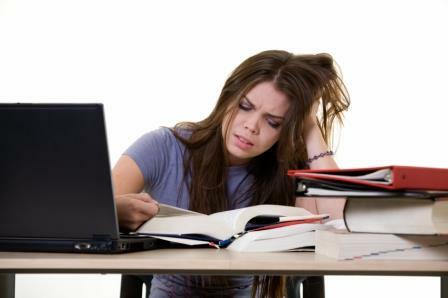 Here is a surprise, only 5% of students indicate that their parents are a major cause of stress. And friends? No respondents reported that their friends are a major cause of stress. Working students with job stress only represented 1% of respondents, but 3% of students reported that finding a job was a major cause of stress. For the full survey report, click here.